What's the difference between Hay and Straw? Customers are sometimes confused about the difference between Hay and Straw, so we've answered the common questions customers ask us about looking after a rabbit or guinea pig for the first time. 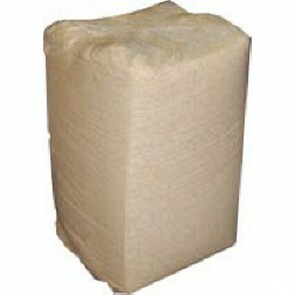 Hay is a substitute for grass that has been cut and left to dry, before being packed into pillows or bales of hay for animal feed. 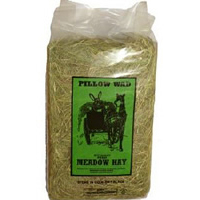 There are different types of hay available including Timothy, Meadow and Orchard, but we stock Meadow Hay that's produced locally so that our customers always receive fresh hay that's green and smells sweet, NOT dusty or musty. The greener the hay the more nutritional the grass is, so we advise customers to avoid old brown hay as it's not as beneficial, but is still a good source of dietary fibre and also less tasty for your rabbit or guinea pig. Straw is simply the stalks of a grain crop such as wheat and barley, minus the grain heads that are left behind after harvesting. The stalks are yellow and hollow like a drinking straw, making the bedding a wonderful natural insulating material for keeping your rabbit, guinea pig and chicken warm on a cold winters night. Straw has a much lower nutritional value than hay, so consequently it's NOT a substitute for grass, but is perfect for bedding so we advise customers to place someone straw in your hutch, then add some hay on the top for your rabbit or guinea pig to nibble on. Small animal bedding: 5 stars out of 5 based on 1 user reviews. My rabbits love this hay! I've researched different websites and valupets offers the best on price - the hay is always delivered well wrapped and is timely.